A beautiful and welcoming refuge for cancer patients has just opened its doors in Manchester. Designed by Foster + Partners, the new Maggie’s Cancer Center is one of many centers across Britain and abroad created to provide free emotional and social support to cancer patients. Located on the grounds of The Christie Hospital, the mostly glazed, timber-framed Manchester center is surrounded by a garden filled with natural light and views of greenery. To emphasize the therapeutic qualities of nature and the outdoors, the single-story building is set in a sunny garden landscape designed by Dan Pearson Studio. Sliding glass doors, skylights, and generous glazing blur the lines between the indoors and outdoors and allow for natural light and garden views. A kitchen with a large communal table is located at the heart of the building and surrounded by a variety of spaces, from private niches to an exercise room. 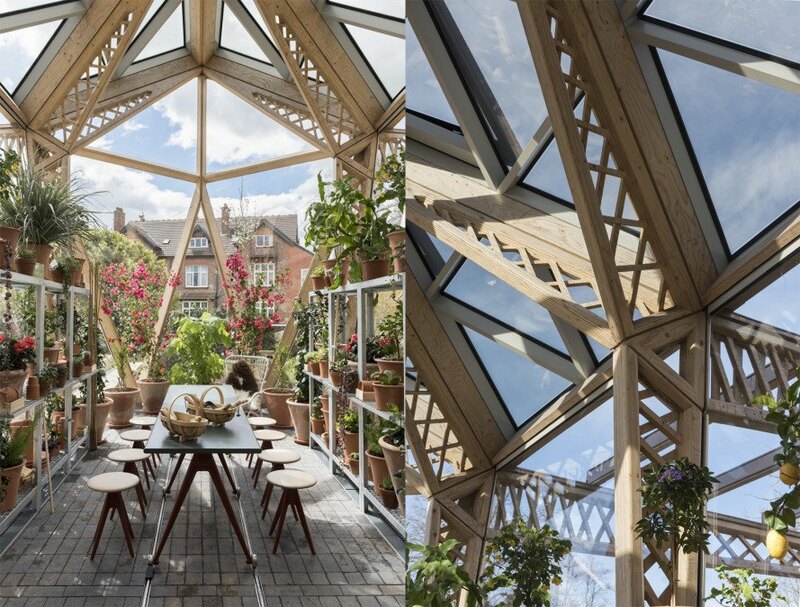 Support offices are placed on the mezzanine level, while a greenhouse on the south end offers people the opportunity to work with their hands and garden. The building is also outfitted with bespoke furniture designed by Lord Foster and Mike Holland. The new Maggie’s Cancer Center in Manchester is of particular significance to Lord Norman Foster, who was born and raised in the city and is a cancer survivor. 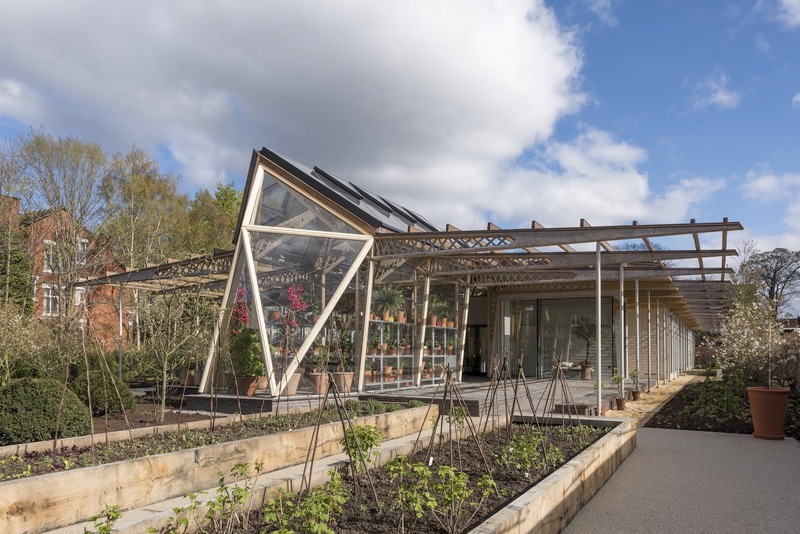 To emphasize the therapeutic qualities of nature and the outdoors, the single-story building is set in a sunny garden landscape designed by Dan Pearson Studio. Sliding glass doors, skylights, and generous glazing blur the lines between the indoors and outdoors and allow for natural light and garden views. A kitchen with a large communal table is located at the heart of the building and surrounded by a variety of spaces, from private niches to an exercise room. Support offices are placed on the mezzanine level, while a greenhouse on the south end offers people the opportunity to work with their hands and garden. The building is also outfitted with bespoke furniture designed by Lord Foster and Mike Holland.